Join us this week as we welcome singer songwriter and producer, Louise Goffin. 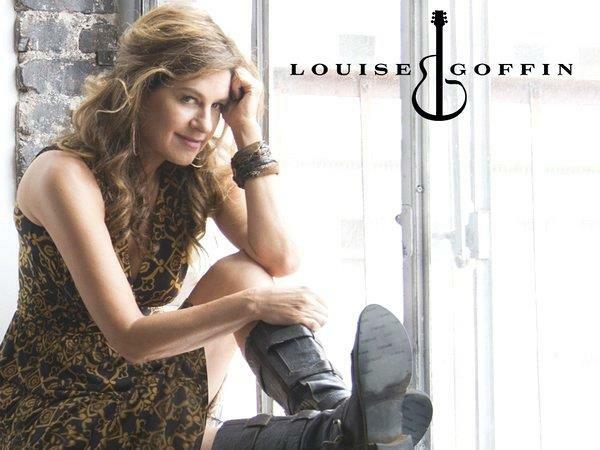 Born in Brooklyn, New York, and raised in LA’s Laurel Canyon during its music halcyon days, Louise Goffin is a multi-talented, modern-day renaissance woman. Her jobs in music have ranged from singer-songwriter, multi-instrumentalist, recording artist, record producer, and has been known to tour as a hired gun for other artists. She released her debut album on Elektra/Asylum when she was 19. Along the way Louise produced a Grammy-nominated record for her mother Carole King, “A Holiday Carole” which was King's 17th studio album. Louise has released eight solo albums of her own, on major labels ranging from Elektra/ Asylum, Warner Bros. and Dreamworks to independent releases on her Majority of One imprint. The Essential Louise Goffin (Vol. 1), her eighth record, features never released tracks including her own upcoming new single "5th of July", a duet with Joseph Arthur on an unearthed Goffin/King song, "If I'm Late", "Take A Giant Step" featuring Jakob Dylan, "Devil's Door" with Cyanide Social Club, and the iconic "(You Make Me Feel Like) A Natural Woman." An accomplished songwriter in her own right, the younger Goffin began to record some of the songs she loved that were written by her songwriting parents as homage to her father, lyricist Gerry Goffin who passed on June 19th 2014. During her career, Louise has played with Tears For Fears, Bryan Ferry, David Gilmore, Stevie Nicks and Donovan. We will talk to Louise about her upcoming schedule, get a behind the scenes look at her music, feature her latest songs, and ask her to share her message for the troops. Please be sure to visit Louise Goffin at https://www.louisegoffin.com/ and spread the word. Our message to the troops: WE do what we do, because YOU do what you do.